Few communities were as fortunate as Fort William and Port Arthur in having an individual like Peter McKellar. A member of one of the community’s leading pioneer families, Peter McKellar devoted his knowledge, talent and money to the cause of history. On October 2, 1908, he was elected charter president of the Thunder Bay Historical Society and remained its driving force for the next 20 years. Throughout his life McKellar displayed a keen interest in chronicling significant episodes in the history of the Thunder Bay area. In many of those episodes, he was a first-hand participant. He had a particular interest in the region’s mining history having explored the region for mineral deposits prior to the development of the cities at the Lakehead. Personally acquainted with many early residents, he persuaded a number of them to record their stories of the formative years. At his own expense, he published the first two of seventeen “Reports” that so well documented the progress of the Society between 1908 and 1928 and the history of the region from earliest times. 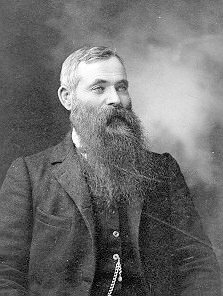 Peter McKellar died in 1929, but his legacy to Northwestern Ontario – the society he created – continues to this day. His own place in history is secure.